In an initiative to drum up new business, The Larson Group asked me to concept and write the copy for a series of self-promotional mailers. Leveraging the agency’s edgy logo and corporate identity, I worked with the art director in developing a 4-part mailer that followed a fictional police case. The messaging positioned The Larson Group as an agency capable of rescuing and protecting consumer brands. 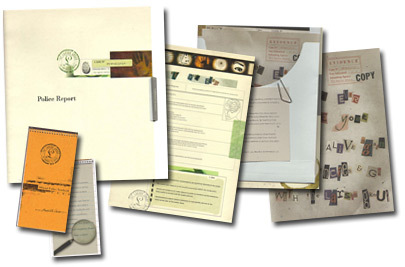 The campaign won a third place merit award in How magazine’s 2001 self-promotion annual.